We are engaged in offering our clients Commercial Canopy & Awnings. These are manufactured using fabric Acrylic, Canvas, or Vinyl, these Awnings can be availed in variety of colors and patterns. We are looking local queries from pune. 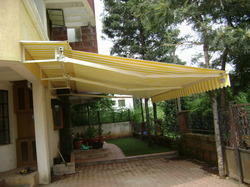 We are engaged in offering a qualitative range of Retractable Awning to our esteemed clients. Perfect for any application, these are offered at leading market prices. 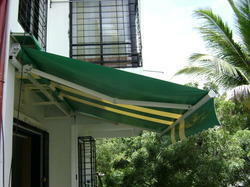 These Retractable Awnings are very widely used and are of very big importance for several kinds of applications. We offer our clients with a qualitative range of Two Way Awning Canopies that provides protection from sunlight and the harmful UV radiations. 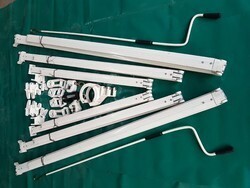 These Commercial Canopies are widely used for various applications by several people and organisations. 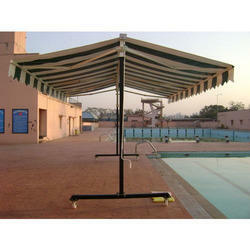 Our range of Canopy can be easily customised as per the need of the customers. 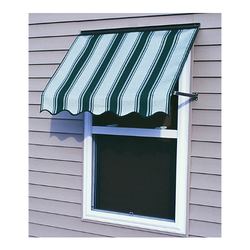 We offer highly appreciated Window Awnings in customer defined specifications. This is a protective layer used on the outer side of a building. These services are applicable in residential buildings, hotels, resorts and official buildings. Our awnings are highly resistant to water and fire. They are widely appreciated for their durability and protective features. We provide these services at market leading prices. We supply in offering our clients with a qualitative range of Home Shade Awnings. Our shade awnings are very smooth, robust and have premium durability for long lasting use. These awnings provide perfect shade while protecting the carpet and furniture from direct exposure to the sun. SHREE AWNING SPARES the leading Manufacturers of retractable awning spares parts and product is made of good quality with 250 to 400 ton Pressure Die Casting(PDC)machine. Breaking point also gives 200 kg stroke. AND Extrusion Specially developed more thick gives more strength and more life.